Out of 23 Product Reviews for this Makita 9.6V Battery Replacement, the overall rating was 4.74/5 Stars and some of the reviews included detailed comments (see below). 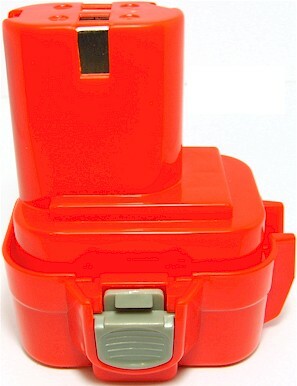 This is a brand new replacement battery for Makita's MAK-9122 battery (see compatible model list below). This Makita 9.6V Battery Replacement is an Extended Life battery packed with 131% more power than the original. 100% OEM Compatible. This aftermarket Makita 9.6V Battery Replacement is guaranteed to meet or exceed OEM specifications. Your new Makita 9.6V Battery Replacement comes in a discharged condition and must be charged before use (refer to your manual for charging instructions). The Makita 9.6V Battery Replacement prefers a partial rather than a full discharge. Frequent full discharges should be avoided when possible. Keep the Makita 9.6V Battery Replacement cool and store only in a cool, dry location. The Makita 9.6V Battery Replacement is Quality Tested and RoHS & CE Certified. We do our best to list as many models that our batteries fit, but inevitably we sometimes miss a model or two. The best thing to do to insure that our compatible Makita 9.6V Battery Replacement will fit in this case is to ask us.